Home / Collections / Looking Distinguished! In this portrait Andrew Plimer has successfully captured the self-assurity of his sitter but it is the twinkle in the grey eyes that makes it such an engaging image. Carefully dressed in a fashionable coat with a tall collar and large buttons over a frilled chemise, the identity of the gentleman is sadly no longer known to us. 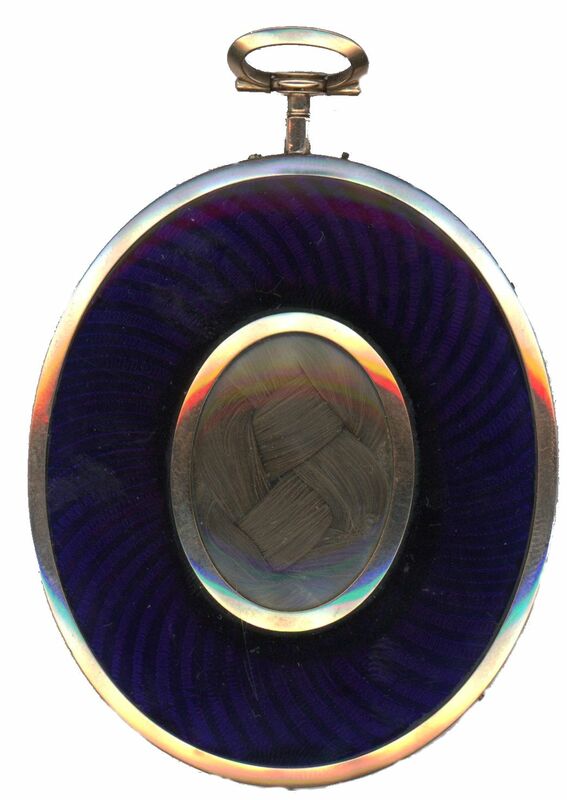 The portrait is housed in the original gold frame with a fausse-montre hanger. 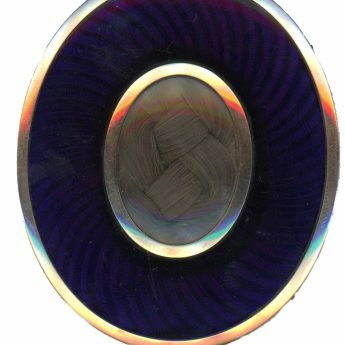 The reverse has a blue glass surround with a glazed aperture revealing plaited brown hair. Excellent condition. 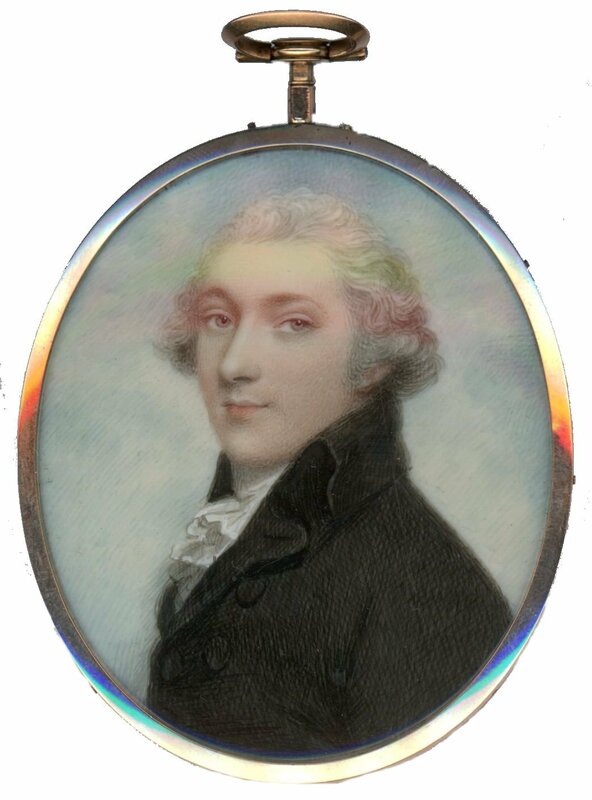 Andrew Plimer (1763-1837) was the son of a Shropshire clockmaker, a trade he and his older brother were expected to assume to. 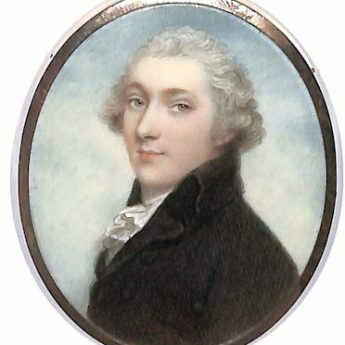 Instead the two boys ran away, eventually reaching London where Andrew had the good fortune to be taken on as a valet to the famed miniature painter Richard Cosway who, recognising the young man’s artistic talent, arranged painting lessons for him. 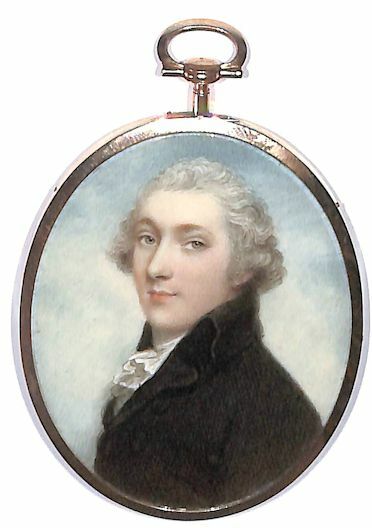 Plimer set up his own studio in 1785 and exhibited at the Royal Academy between 1786 and 1830.